A babysitter from Vietnam was caught on camera repeatedly smacking an 8-week-old infant because she would not stop crying. The 51-year-old babysitter, Nguyen Thi Han, was working as a maid and babysitter with a family in Phy Ly in northern Vietnam’s Ha Nam Province, reported the Mirror. The suspicious parents installed security cameras in their home after noticing their daughter’s face was unusually red and was sobbing in her sleep. After watching the security footage, they were shocked to see the babysitter smacking their daughter across the head, face, back, and bottom, as well as violently shaking her. 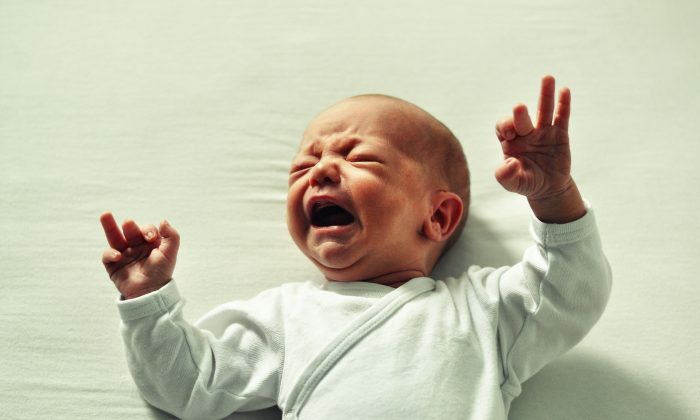 At one point, the babysitter repeatedly threw the frightened baby up in the air and caught her. Han was hired by the family just two months prior. Upon seeing the footage, the baby’s mother, Ngoc Phuong, contacted police and the babysitter was subsequently arrested. She also posted the videos on social media. Lt. Col. Le Duc Tung, chief of police in Phu Ly, confirmed that Han was in police custody, according to the newspaper. According to World Vision Vietnam, up to 4,000 cases of violence against children are reported yearly in Vietnam. Warning: the following video may be distressing to some. In the United States, the latest Child Maltreatment report states that 7.2 million children have been reported to be involved in child abuse with 17.2 percent of victims physically abused.